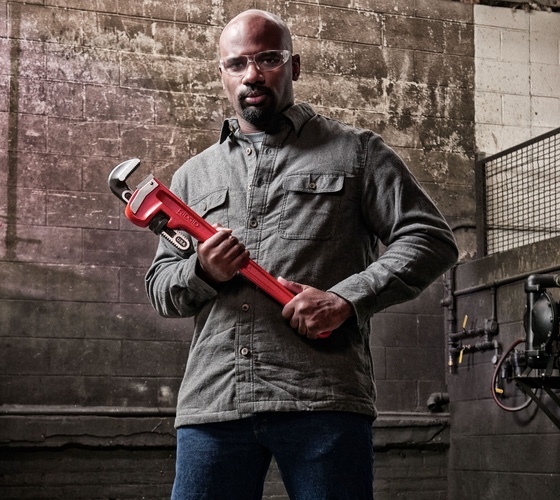 Since the day we invented the modern pipe wrench in 1923, we’ve made it our mission to build for the world’s expert tradespeople. RIDGID® wrenches and tubing tools provide certainty and efficiency on the jobsite. There’s a reason many of the first RIDGID pipe wrenches we introduced in 1923 are still used today. Pros know: you can buy 10 wrenches that break and bust your knuckles — or one RIDGID that will last a lifetime. But don’t take our word for it: ask any RIDGID owner if they’d trust another wrench. As the best-selling pipe wrench in the world, these enthusiasts are easy to find. We take this pride-in-ownership personally, and build RIDGID durability into every detail. Count on RIDGID pipe wrenches to get you through the toughest jobs on any pipe size. Durable tools for bending, flaring, and forming tubular pipes. Repair and join tubing with RIDGID pipe freezers, pipe thawers, soldering guns and pumps. Tools to cut, deburr, clean and prepare tubing for installation.